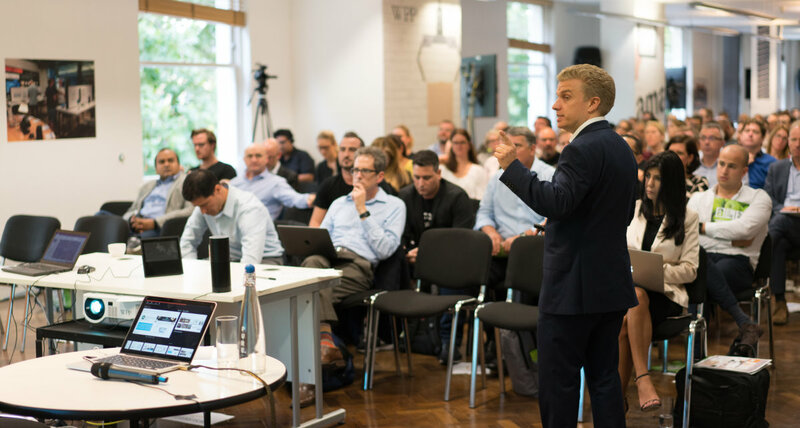 This full day event was hosted by WPP and features some amazing speakers including Paul Sweeney the Director of US Research for Bloomberg, Andy Hood Head of Emerging technologies AKQA, Michael Ross Chief Scientist for Dynamic Action to name a few. Umajin was presenting our new face of retail. The ability for companies and brands to build 24/7 visual digital agents to represent their products and services. Using natural language processing, text to speech and speech to text services these digital agents can engage customers in visual processes like selecting entertainment options, picking the right shoes or helping configure a wind turbine. The possibilities are endless.